One-part procrastination, two-parts broke and no where to go for Spring Break? Well look no further than right outside your own front door. While your peers are off on some beach in Florida or skiing mountains in Colorado, it’s time to explore the place you’ve been calling home this semester. Don’t assume because it’s Spring Break you need to shell out hundreds of dollars for a three night stay at an overpriced hotel. AirBnb’s around Downtown Louisville range in price from $42-86 a night. These places are far cheaper than the Galt House and are close to tons of great experiences. Louisville has some great attractions. From the well-known Waterfront Park to the Kentucky Arts Center, Louisville is thriving and there’s something for everyone. Into the arts? Take a trip to a theatre performance or head to a local band’s show at Zanzabar. Go to the 21c Hotel or the Speed Art Museum, both are free of charge as U of L students. Art not your scene? Take a stroll along the riverfront or any of Louisville’s beautiful parks. Want to go on a shopping spree? Walk NuLu or Bardstown Road and peek around through all the local shops. Spend your money supporting local Louisville businesses. Put on your walking shoes and use your Cardinal Card. Now that you’ve found a place to go, how do you get there? The immediate answer is usually Uber or Lyft. However, remember, just because U of L is closed, doesn’t mean the TARC stopped running. Make the most of those free bus rides to get to for away places. For things that are close, walk! It helps the environment, gets in those steps and you never know what you might stumble upon. I’ve found plenty of small thrift stores or little artsy businesses I would have skimmed over had I not missed a TARC bus or two. This break is yours, make the most of it. At the end of the break, how much fun you have is up to you. 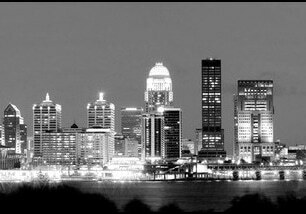 If you are stuck in Louisville, make the most of the experience and do things you normally can’t. Stay out late and party hard, go somewhere you haven’t been to before or just simply sleep in the whole week. How you relax is up to you because come March 18, we’ll be back in the mud finishing off the rest of the semester.